Orlando, Florida, United States: It’s like a walk in the park, only better because it’s on a golf course. 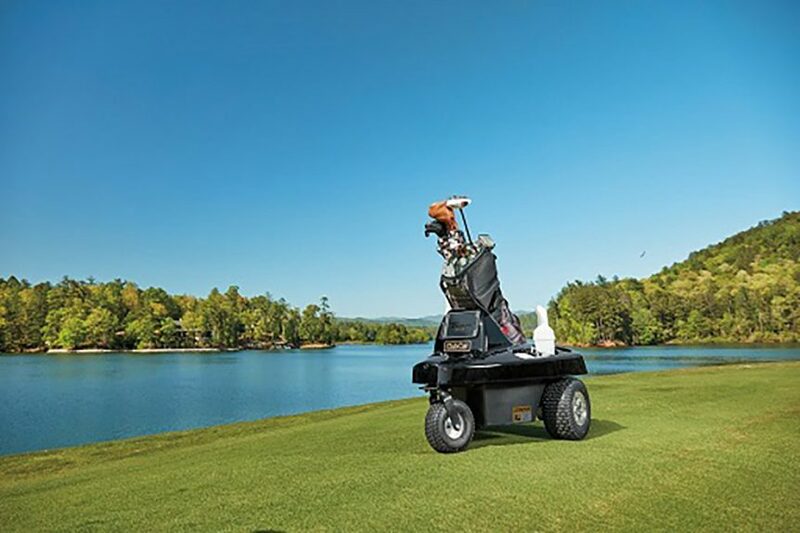 Blending tradition and technology, Club Car’s Tempo Walk, a new hands-free robotic golf caddie unit, provides enjoyment for golfers who walk the course. The wireless, autonomous caddie is designed to enhance the golf experience and also foster health and wellness. From the global leader in golf, consumer and utility vehicles and a brand of Ingersoll Rand, Club Car is introducing Tempo Walk at this week’s PGA Merchandise Show at the Club Car Booth #2928. “There’s been a groundswell of interest, with positive feedback since testing the Tempo Walk at courses around the country last year,” said Mark Wagner, President of Club Car, an Executive Member of the Asian Golf Industry Federation. “We’re excited to introduce a new technology-driven product that will excite golfers, enrich play and provide a fun, healthy experience throughout their game. Tempo Walk complements Club Car’s other transportation offerings and reaffirms our commitment to move the game of golf forward, particularly for the thousands of golf courses that attract a significant number of health-conscious golfers and are looking to generate a new revenue stream for their operation,” he added. For fitness minded golfers and those who enjoy walking, Tempo Walk delivers a caddie-like experience different than traditional push carts, electric or otherwise. For course operators, it’s a fresh, functional and environmentally friendly cart option and experience to offer customers. Blending tradition and technology similar to Club Car’s recently launched Tempo Connect golf car, Tempo Walk’s stylish hands-free golf caddie unit makes walking the course pleasant and easier than other push carts. It offers state-of-the-art wireless technology including GPS yardage and hands-free remote control to manoeuvre easily around the course. Constructed with a durable aluminium frame, Tempo Walk contains a lithium ion battery which holds a 36-hole charge. It moves up to seven miles per hour and weighs 95 pounds. Additional technology features include a USB port and touchscreen tablet with GPS yardage.